The Amazon marketplace is very competitive these days, so many newcomers resort to guerilla marketing and black hat tactics to get an edge over the competition. However, once you are an established company, those types of tactics are no longer worth it because you put yourself at risk of being kicked off the Amazon platform. You don’t want to bite the hand that feeds you. Instead, we now take a more holistic approach of looking at the entire customer journey and finding new ways to provide value to the same customers. By horizontally integrating both our physical products business and the education business we’re able to gain a sustainable competitive advantage over companies who are just operating in one of those verticals. As a part of my interview series about how to run a very successful Amazon business, I had the pleasure of interviewing Michael “Medium Rare” O’Donnell. Michael is the owner of Cave Tools, one of the largest direct to consumer manufacturers of barbecue and cooking tools in the United States. 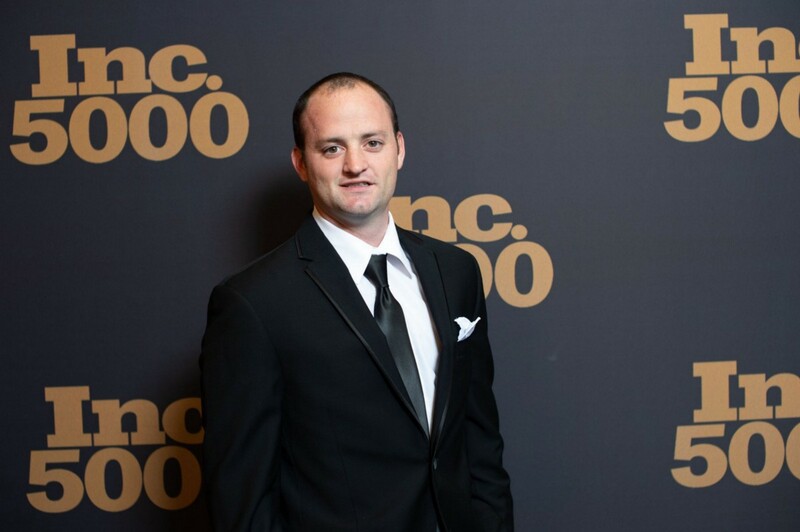 In 2017 Cave Tools was ranked as the 3rd fastest growing company in Philadelphia and in 2018 was ranked #453 on the INC 5000 list of fastest growing privately held companies in the country. In late 2018, Michael started a new company called Grill Master University which partners with famous barbecue chefs to produce high quality online Barbecue Masterclasses. He believes that even though technology has connected society in amazing ways, deep meaningful relationships have never been weaker. The purpose of his business is really all about bringing people and families closer together. When you’re confident about cooking, you cook more often. And when you cook more often, you end up spending more quality time forming in-depth relationships with the people you love. Shortly after graduating college I started a marketing agency where we were selling website development, paid advertising, and search engine optimization services to local businesses. It was the perfect starter business for me because I was getting paid by my clients to hone my marketing skills. However, providing marketing services for other businesses was never my end goal. I wanted to build a true business that wasn’t just centered around me. I wanted a business where I could have a team and procedures in place so I wouldn’t have to manage the day to day. When I started Cave Tools there was no grand idea or plan. I viewed my first product as simply a way for me to learn the process and test out my marketing skills for the first time on something I actually owned. After more than a year of being a nights and weekends side project, I decided to start transitioning away from my agency and focusing full time on building Cave Tools into the company it is today. I’m an authority on Amazon because I have built a multiple 7 figure business in a non high volume category such as supplements. Understanding how to market on Amazon is a valuable skill, but to become a true Amazon authority you need to master a wide range of skills including Design & Manufacturing, Logistics, Finance, Advertising, and Operations. I’ve built the teams and processes necessary to manage all of these areas for a brand of over 40 different products. When I first started out in business I just wanted to make money so I could support myself and finally move out of my parent’s house. My dream was to build a location independent business so I could work from anywhere. The first couple years were incredibly difficult because I had so much to learn. But In 2016, only 3 years after starting my business, I achieved my dream of travelling and living in over 20 different countries that year. To date, I have now been to over 40 countries and have formed close relationships with some of the most interesting entrepreneurs from all over the world. While I still travel multiple times per year, my current focus is on rooting back down in my home city and laying the ground work that will propel my business to the next level. In the early days we never had a warehouse so I had to receive all of the pallets myself. I found out that it was cheaper to get a delivery to a commercial address than it was for a residential address. So I went to our local shipping store and opened up a P.O. Box for about $100 per year and that counted as my commercial address. The problem however, was that this address was a little store in a strip mall with a tiny parking lot out front. I would get multiple pallets of products shipped there and the truckers had nowhere but the parking lot to drop them off. Each time a truck came I would get an angry phone call from the store owner telling me how the entire parking lot was full of pallets and nobody could drive through. I would then round up my mom, my sister, and anyone else who would pick up the phone and we would all rush down there to try and unpack and label all of the boxes. This process could sometimes take between 3–6 hours and I had to deal with the store owner yelling at me the entire time for taking advantage of them. Some version of this scenario occurred on at least 8 or 9 different occasions. Between all of the time and hassle, this strategy was never worth whatever amount of money I thought I was saving so I eventually decided to contract a warehouse. I did what I had to do to scrape by in the beginning, but once you start growing your business you need to continually ask yourself the question “What would this process look like at scale?” The answer for me was having professionals do this work so I could focus on my core strengths of building the business. I still talk to the shop owner today and will stop by to ship things sometimes just to give them money so I feel less guilty over the whole thing. He definitely hated me at the time, but now he always reminisces as if those were the good old days. My newest project is a company called Grill Master University where we partner with world class barbecue pitmasters to provide expert training programs for a fraction of the cost of live cooking classes. It’s the perfect sister company for Cave Tools and helps me achieve my goal of facilitating deeper more meaningful relationships in people’s lives. By providing both the tools and the education, our customers become more confident at cooking and end up spending more quality time with their friends and family. Ok. Let’s jump to the core of our discussion. Amazon sellers have a reputation for being great guerilla marketers. Do you use any clever and innovative marketing strategies that you think large legacy companies should consider adopting? You may be a white collar business person and your childhood friend could be blue collar construction worker. On the surface it may seem as if you have very little in common anymore, but no matter who you are or what you do, everyone bonds together over food. By facilitating meals that bring people closer together our goal is to inspire deeper relationships and memories when everyone sits down at the table. Each gathering creates a ripple effect that brings the world just a little closer together. My favorite quote of all time is “The Man In The Arena” from a speech by Theodore Roosevelt in 1910. I have this quote on the wall in my office and I read it every day as a reminder. I think this quote is even more relevant today than it was then. Our lives are so public on social media that people are afraid to take risks because they might fail in front of everyone. The most important thing is not whether you succeed or fail, it’s whether you take the risk in the first place, learn from your mistakes, and keep getting up every time you’re knocked down. The person I would most like to meet is Mark Cuban. Like myself, Mark grew up in a middle class family and had to overcome many of the same limiting beliefs on money and success and business to get to where he is today. The public sees him as a successful investor, but what most people don’t realize is that he has failed numerous times throughout his career. I envy Mark’s tenacity and his ability to keep pushing the limits regardless of what life throws at him.